Fikelela means 'reach out' in Xhosa and is the HIV&AIDS outreach programme of the Anglican Diocese of Cape Town. Fikelela was founded in 2000 with the vision of providing an active Christian response to the HIV&AIDS pandemic in South Africa. 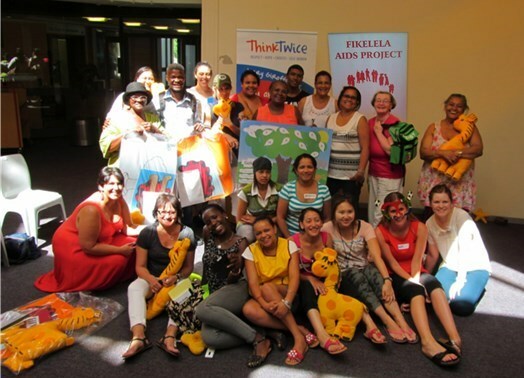 Fikelela Aids Project began its journey in the year 2000 as an active Christian response to the HIV & AIDS pandemic. We embrace anyone who wishes to journey, learn and partner with us. The centre has been running in Khayelitsha for 16 years, providing short term safe care for up to 40 children aged 0 to 8. We provide a secure and nurturing home environment for children from all over the Western cape who have been abandoned and orphaned, neglected or abused. Children are nursed back to health and put on anti-retrovirals when necessary. We then place them with extended family members or supported foster families. We have a very high success rate of placing children. 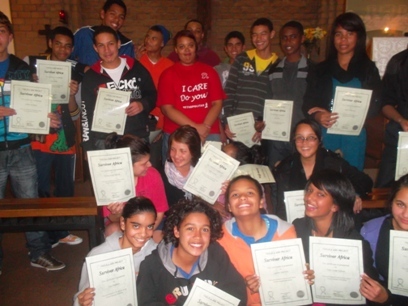 A seven week youth sexuality programme has been devised for the confirmation classes which deals with issues of sexuality from Biblical perspective. Confirmation class candidates are offered a seven week course called Survivor Africa, which focuses on sexuality. Confirmation class teachers are trained to run this programme, and completing a sexuality course is a pre-requisite to be confirmed. Research into sexual activity amongst the Anglican youth revealed how vulnerable they are to HIV infections and teenage pregnancies. 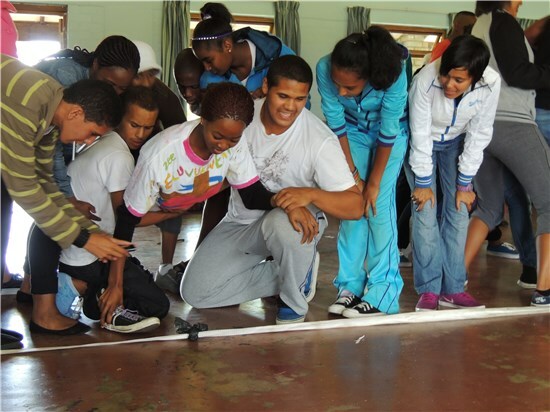 Young people are trained as peer educators to teach a 20 session life skill programme to their youth groups. As agents of change they are empowered to live the message as well as give the message. 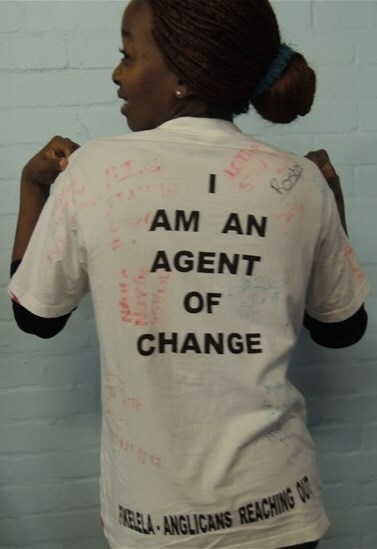 A peer education programme called 'AGENTS OF CHANGE'. This programme combine various aspects. Training for peer educators. Young people are elected by their peers and trained to become both educators and role models. "The message you live is more important that the message you give"
In partnership with Think Twice we have developed a Sunday School curriculum which helps to protect children from the dangers of child abuse and teachers about HIV in a fun an interactive way. Fikelela in partnership with an organisation called Think Twice offers a programme for Sunday schools. The programme is named Jerry Giraffe, after the toy giraffe which will be used to help learners have fun while learning. The programme has 10 lessons and runs for ten weeks or longer depending on the parish needs. Jerry Giraffe focuses on teaching young children about making good choices in life and learning to treat other people with kindness and compassion. 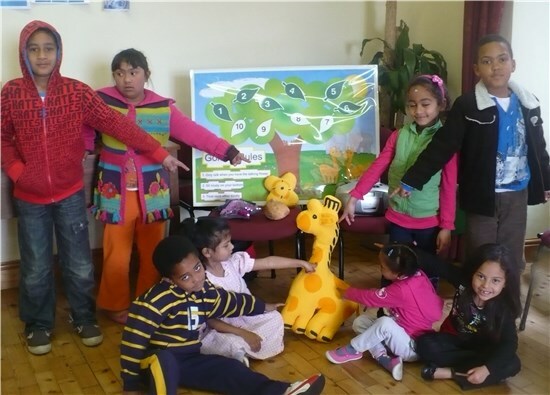 The programme Jerry Giraffe also focus strongly on child abuse awareness, teaching body pride and what to do if faced with potential abuse or if a child has been in an abusive situation. Another strong focus area is on HIV/AIDS. The basic facts on HIV, how it is transmitted and how your child can keep him/herself safe from infection through avoiding contact with blood from friends when accidents happen during fun games in the playground; will be taught. This section will also touch on stigma of HIV&AIDS and contribute to a generation that is HIV free yet respects those around who are infected and affected by this pandemic. If you are a Sunday school teacher and would love to attend the Jerry Giraffe training the cost for the training is R150, which includes all the training with a manual and CD of songs and a Jerry Giraffe resource pack. You can also purchase a Jerry Giraffe soft toy at R60 (one per church). 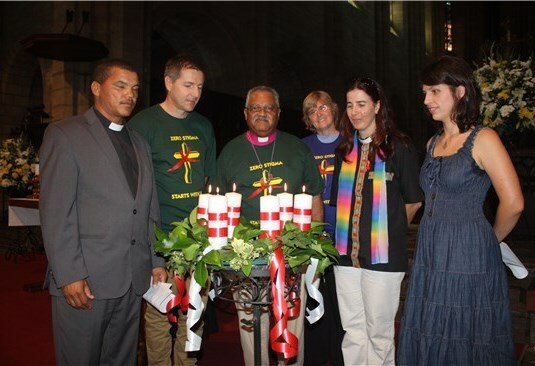 Our key strategy is the formation of HIV&AIDS task teams in churches. 37 Task Teams are currently running. They raise awareness in churches through celebration of World AIDS Day, Candlelight Memorial, Orphan Day etc. 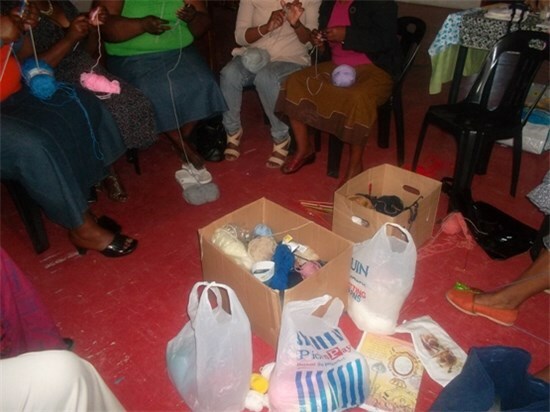 They also serve in the community by caring for orphans, supporting people on ARVs, hospital care, providing food parcels and fundraising. In partnership with our parishes we offer a safe space for adults living with HIV. Here they find mutual support, pastoral care and learn about positive living, We also have skills development programme where they learn income generating skills. We are currently supporting 11 groups which assist 400 people. Fikelela has section 18 A Public Benefit Organisation (PBO) status. Donations made in South Africa are tax deductable and Fikelela can issue receipt for income tax purposes.